Designing to earn people's trust provides a great opportunity to be more playful and humanise our digital services. Jam is an online music service that allows people to browse through their favorite artists, share music with friends and discover new bands. In order to provide people with music they love and give them relevant recommendations, Jam uses their data. Even people reluctant to share data will not keep them from using Jam, but the service won't be tailored to their tastes. ...make consent more human, intuitive and personal. You're in control. Let's jam together to set your preferences. What makes this sign-up special is the role people are given here to be the masters of their experience. Right from the start, a transparent relationship is established by explaining the value of entering their data. 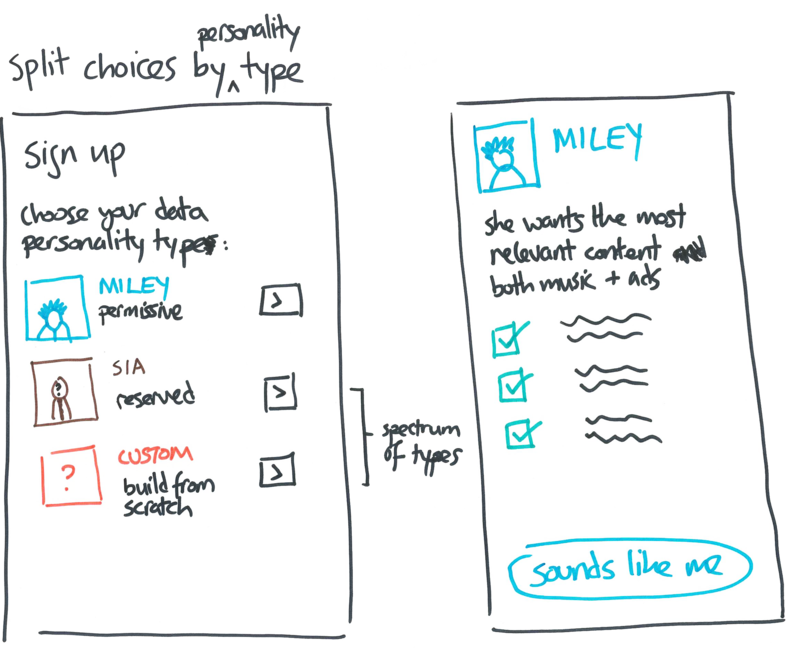 After moving through the sign-up flow, Jam offers people multiple profile preferences for data sharing. 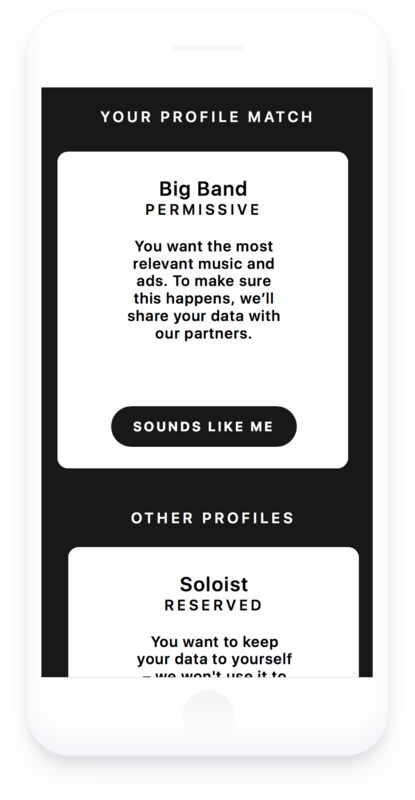 Instead of approaching privacy in technical language, Jam allows people to manage permissions in an everyday human, empathetic and music-related way! Once a profile is selected, privacy settings can be edited at a more granular level. Again, the impact of each choice on the service provided are made very clear. Consider how we might use language in other apps to make privacy settings more clear and simple. Invite participation and engagement in privacy settings by making it a conversation between people and services.